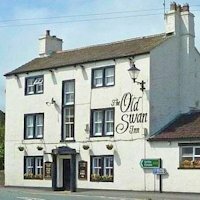 Bridge 161 BD23 3LP Pub with first class food. 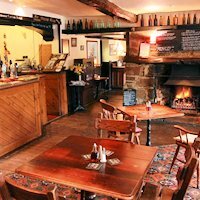 A short walk out towards the station BD23 3NL Real village pub with stone floors, a roaring fire and good food. Rooms. BD23 3LX In village centre. 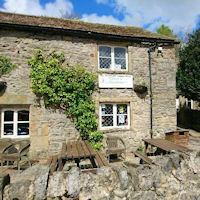 Bridge 162 BD23 3LP A very good lunch place, once a rest for monks going to Fountains Abbey. 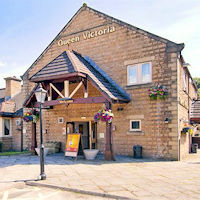 By Anchor Lock BD23 3NA A very popular road house with food and a Premier Inn. 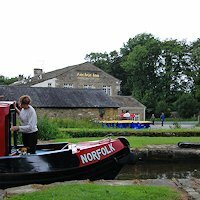 Higherland Lock BD23 3RB Village pub with food. 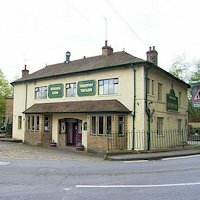 Bridge 178 BD23 1JE Pub with fresh-cooked food. Dog friendly. 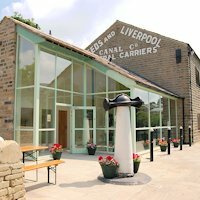 Bridge 178 BD23 1QY Renowned canalside fish & chips. 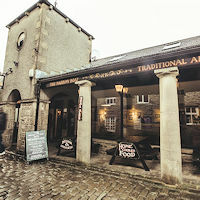 Coach Street BD23 1LH England's furthest north authentic pie & mash shop. 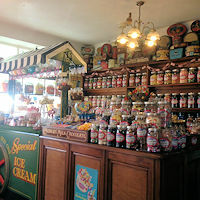 Coach Street BD23 1LH Home baking and tea room. 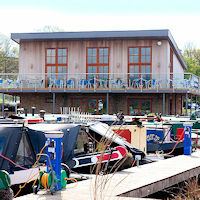 Springs Branch BD23 1LB Canalside pub with local fresh food. 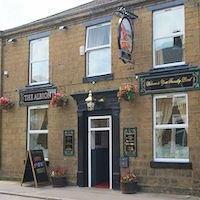 Bridge 182 BD20 9HB A Vintage Inn pub with restaurant. 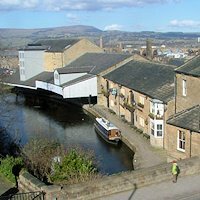 Skipton Basin BD23 1LH Indian restaurant with panoramic views of canal. 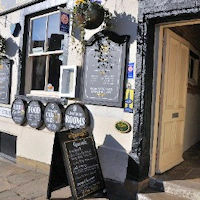 Bridge 178 BD23 1LH Town centre pub with fresh food and live music. 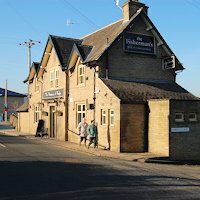 Bridge 178 BD23 1HY Town centre pub with local fresh food and rooms. 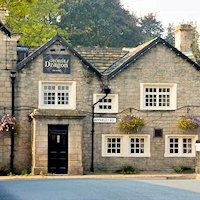 Springs Branch BD23 1NJ Town centre pub with local fresh food and rooms. 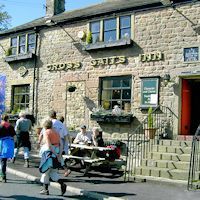 Bridge 182A BD20 9DE Pub with good food, a short walk from the canal. 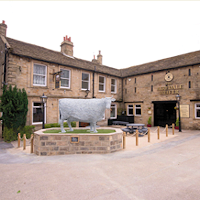 Bridge 186 BD20 9BH Pub with fresh Yorkshire food. 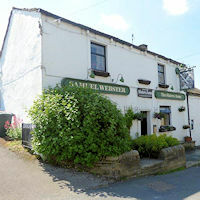 Bridge 198 BD20 5LY Pub with restaurant, fresh local food and own brewery. 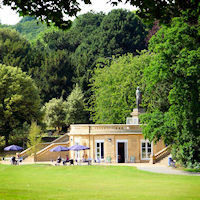 BD16 4DS Café at top of staircase. 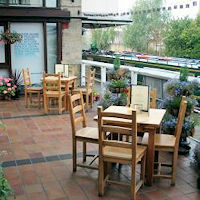 Bridge 207A BD18 3LA Riverside pub/restaurant with wide selection of beers near handy moorings. 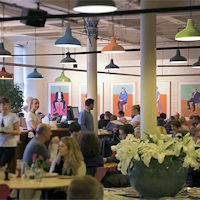 BD18 3LA Bustling daytime restaurant with Hockneys. 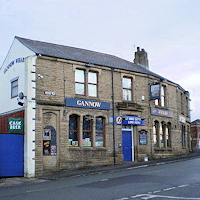 Canalside, BD16 1TS Pub with food, linked to Stubbing Wharf. 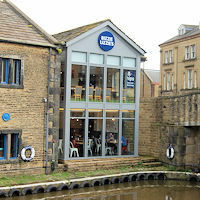 Between Bridges 207C & 207E BD17 7DW A la carte restaurant in canal warehouse. 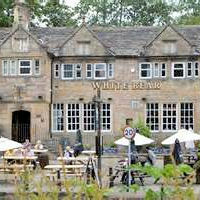 LS13 1HP Canalside family-run pub with food. LS5 3BW Pub with food. 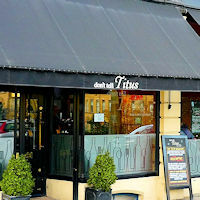 BD16 2QX Pub with food. 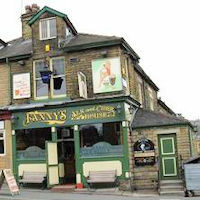 Bridge 207A (short walk) BD18 3JN Pub with wooden floors, gaslights and real ale. 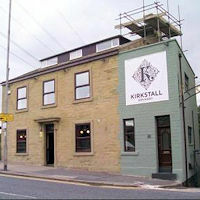 Bridge 207A BD18 3LA Newly refurbished pub with restaurant. 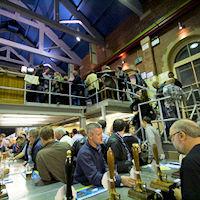 Bridge 209 BD17 7AR Brewery tours available. 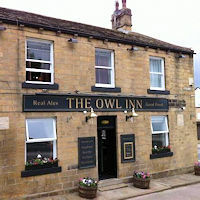 BD10 0PU Large family pub by the river. 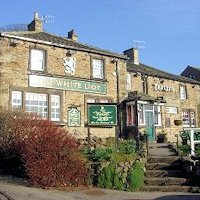 LS13 1LB Pub with food. 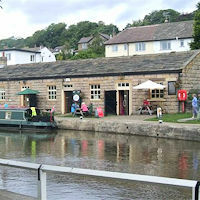 Bridge 151 BB18 5TT Small atmospheric canal pub with food. BB8 6EP Chain pub with food and sport TV, quite a way from Bridge 143A. Bridge 130B BB11 1JG Modern pub in converted warehouse in Weavers' Triangle. 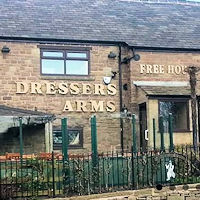 Bridge 127A BB12 6QH Pub with live music. 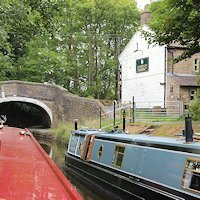 Bridge 114B BB5 5HD Refurbished canalside pub. 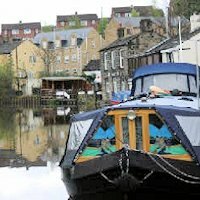 Canalside BB8 7PP Super warehouse conversion, open from breakfast till dinner with home cooked local food. BB9 6RF1800m W of Bridge 145. 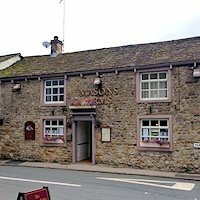 Village pub with food. BB12 0DX With views over the marina. Bridge 130H BB10 3EF Brewers Fayre. 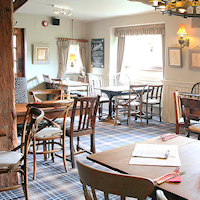 Bridge 82 PR6 8HD Busy village pub and restaurant.